Don’t just take it from us, let our clients do the talking? I firmly believe this, having watched my daughter’s health decline for years, in the hands of specialists working on each individual symptom area. My daughter had contracted mono her junior year in high school had never been the same. The tax to her immune system seemed to activate havoc in almost every area of her life. This once active, vital girl, was reduced to chronic fatigue, exhaustion, a decline in energy, the inability to eat foods without stomach pains, migraine, dizziness, severe heart pain and so much more I had not been aware of until we met with Dr. Elize and my daughter shared symptoms she had so long she thought it was “normal.” She had previously been tested and blood work run through Infectious disease specialist, gastro specialist, cardiologists, she had upper GI’s lower GI’s yet she couldn’t eat without pain, heaving, or throwing up. Yet everything ‘looked normal.” Her heart rate continued to increase, her blood pressure continued to decrease, and she has no ability to sweat. She was cold and tired all the time. It was frightening. I felt scared, helpless and terrified of not finding any working treatments for her. Yet- still she fought to live her life, graduated high school, was accepted to college, and attended all the while we couldn’t figure out what was actually wrong with her. We constantly pushed fear out of our minds, and were determined to get her health back on track. I had been sharing my daughter’s situation with a new acquaintance, who as it turned out thought the symptoms sounded very similar to his wives. They had started seeing Dr. Elize, and had been seeing positive results. My daughter and I called Dr. E for a consult, to see she could work with her digestive issues. My daughter was losing weight and could only eat a very limited diet. We met with Dr. Elize who, after assessment of the copies of my daughter’s medical records, clearly determined that the blood work done by infectious disease offices showed her to be Lyme indicator. I felt relief. There was hope. Through further recommended tests, we also discovered that mold exposure had also been a health issue that needed attention and treatment. Seriously- Thank God for Dr. E for having the experience and wherewithal, to understand and know how to detect what was happening to my precious child’s. She did not lable or isolate ‘conditions’ but looked at the Whole Picture – the specialists had not overlapped discovery, their medications were causing other side effects, and my daughter simply was not getting better. Dr. E’s recommendation of and pathway to a series of steps and phases to restore balance was made and the work began. During my daughter’s intense treatments and commitment to the regime, (taking a semester off of school to work her protocols and treatments) she has been able to manage a healthier state of being. She is no longer malnourished, she can detox and sweat, she eats a clean and healthy diet, her heavy list of ‘conditions’ have been minimized, in some cases no longer exist. I am so grateful to say she is living a normal healthy lifestyle of her 22-yr old self. She is set to graduate college this year, and move on in her life, taking with her the knowledge and know how to Be Well. I completely hold Dr Elize St. Charles responsible for her wellness and having brought her back from the grim path she was on. There will be continuous work for my daughter, she is in control of her well- being and continues to consult with Dr. E.
I am so grateful and appreciative of Elize’s vast knowledge of Lyme’s disease and its associated disorders. She directed me to further investigate and understand a metabolic disorder that often underlies chronic immune dysfunction. I discovered a simple treatment that seemed to be a key in my own pursuit of wellness at a core level, after I had suffered a severe inflammatory reaction to an infected cat bite. Thanks to Elize, I was able to recover more easily and quickly, and I sense that the treatment continues to impact me with a healthier, stronger immune system. I am happy that I can now share this knowledge with my Enzyme Therapy clients who suffer chronic immune disorders, and help them recover their health in a way that may offer positive effects for lifetime. About two weeks ago I got a sever case of Poison oak covering 80% of my back. It had gone systemic and was inside my organs, swelling my liver, lungs and lymphatic system. When I met with Elize, she was astounded at how sever the reaction was, and began working on me immediately. My back was so swollen and infected that Elize thought that I might need to be treated at the emergency room to prevent anaphylactic shock. She started working on my back using Qi Gong and almost instantly the swelling went down. She moved the energy from deep with in and brought it out. I have been working through deep sadness, grief and also fiery anger, both poison oak and Elize were there to help me properly channel the toxins and deeply heal through transformation. I feel very grateful to her for helping me at this crucial moment of my healing process. If it weren’t for her I probably would have had to go to the hospital. Thank you, Elize! She has a sense of what’s going on in the body and what order to treat. What to tackle first in order to release different layers of healing. She has an arsenal of nutritional ideas and recipes to aid your body in the process of healing. Something that is so helpful and typical practitioners just don’t have the knowledge, interest or time to address. When she has suggested I purchase an item or piece of equipment to help with my healing, she has researched what is the best and most cost effective on the market. The options are endless with Elize. I call her my Mary Poppins with a bag full of ideas and goodies. If my body isn’t tolerating a particular treatment I need, detox is getting to me, or I just need to ramp up treatment-she compassionately reaches into her “little bag” that is filled with new ways to address my current issue. Most importantly she is teaching me and empowering me to treat my own body. Thanks Elize! For the past 20 years I’ve been either incapacitated or only semi-functional due to ill health. Though I’ve been working with many medical practitioners, health improvement was not notable. Then my sister who is working with Elize started sharing her new-found knowledge with me. I have consequently been following Elize’s recommendations regarding the use of passive detoxification tools – especially at night. Unbelievable is all I can say! My naturopathic doctors can’t believe the changes in my health. I am planning soon to live with my sister to work directly with Elize. I am anticipating that one day I will be healthy enough to live a normal life once again. After studying and working in natural health care for many years, I was pleased by how much I learned from Elize. Perhaps the most important thing I’ve learned is to be gentle with myself and to find more ways to enjoy life – as part of the healing process. I was very impressed by how many connections Elize observed regarding cause and effect. She was also able to adjust health recommendations for what would actually work for me in practice. This has made a big difference in my life. I have a very demanding job and I don’t care to imagine how I’d be feeling now without Elize’s expert guidance. I have found all of the modalities Elize uses to be therapeutically beneficial. The chi balancing & aromatherapy massage with the hot oil is my favorite. Ear coning actually helped my hearing. Scar intervention therapy & hot stone massage assisted pain & circulation. The far-infrared sauna pulled ammonia & pesticide odors out of tissues & I came to feel better overall. Elize is kind, caring and has a wealth of knowledge she readily shares. She does what she does for your benefit! Elize St. Charles has more modalities to choose from than any other health care practioner I have ever worked with. 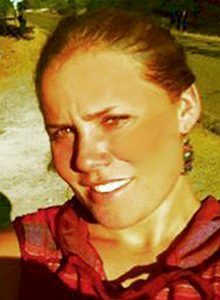 Her intuitive abilities, along with copious alternative and traditional skills makes for a very unique blend of healing for her clients. It is my pleasure to recommend her to anyone seeking help and information about any illness, injury or health concern you may have. Elize is unlike so many practitioners I’ve gone to before — if one modality doesn’t work she always knows an alternative. 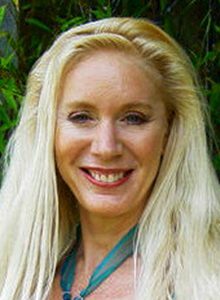 She’s familiar with a vast set of supplements, herbs, homeopathic remedies, environmental changes for your home, many forms of therapeutic massage, mind-body techniques, yoga, detox techniques that will not overtax your system, and many other high-tech and low-tech forms of healing. She tries to take into account every aspect of your life that may be contributing to your condition, and intelligently apply whichever of these modalities are appropriate for you at that moment in your healing process. She also considers clients individually — for example, she doesn’t tell everyone to take up the same pet diet she’s decided is the answer. On top of that, Elize has tried the techniques herself to heal her own difficult medical problems, and so she empathizes with what you’re experiencing and she believes you can get better. I am continually impressed by her practical smarts. I would recommend her to friends, family, and anyone who is serious about getting well. When I found myself suffering from a toxic system, verified by specific blood work and my list of symptoms, Elize used the protocol suggestion list from the lab that reported my results, and recommended a combination of products that has, over time, been amazingly helpful in steadily building my detoxification capability, and restoring energy and body comfort (my term). As a home restorer and artist, over the years I have been exposed to many strong toxins, from paint removers, to laquers, to wall and floor paint, to amalgam fillings, to workshops full of glue gun fumes. Four years ago, my body aches and pains increased and my muscles were dry and tight and I found I could not work out or my body would be in pain for at least the first 4 hours after waking up. I often slept till 9 or 10am and finally realized that this was not a temporary problem but a consistent worsening situation. Fortunately, I have known Elize for years and we have shared a strong interest in health and nutrition. I know that she has healed herself of some incredible illensses that would have taken down a less motivated and less knowledgable person. Via the products she provided me from PR Labs and other sources, I think I got the best nutrition possible to start the rebuilding of my body, my cells, and my energy. I’m not competely back yet, but I can hike, work out in the yard, take long road trips and enjoy my physical life again. Along with the products I have used energy medicine as taught by the Four Winds Society, recieved consistent acupressure/ reflexology treatments for a year, removed all wheat, dairy, sugar and soy from my diet (recently), and gemmo therapies. It’s amazing what you can accomplish at any age with some excellent treatment such as Elize offers, and the will to keep doing it till the results come in. I had thought I was going to be stuck with all my aches and pains, as a part of just getting older. Not so. What a treat. Thanks Dr. Elize for your encouragement, recipes, products and information.